Have you ever come to the portion of your recipe that says "softened butter" only to realize all of your butter is cold? 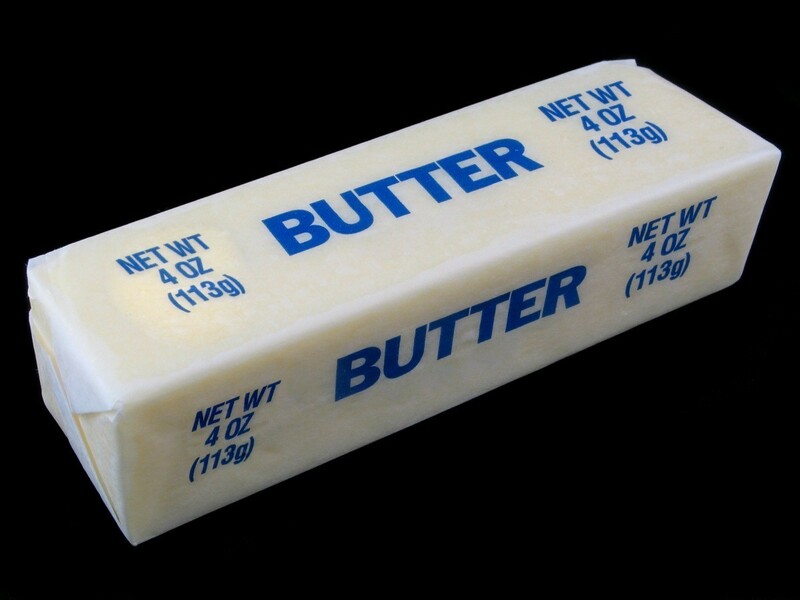 This is a guide about softening cold butter. I often have spur of the moment baking ideas and get annoyed when a recipe calls for softened butter. Even when "gently" microwaved, I have a tendency to melt some of it. The best way around that is to pour boiling water in a microwave safe glass in order to heat it the glass. 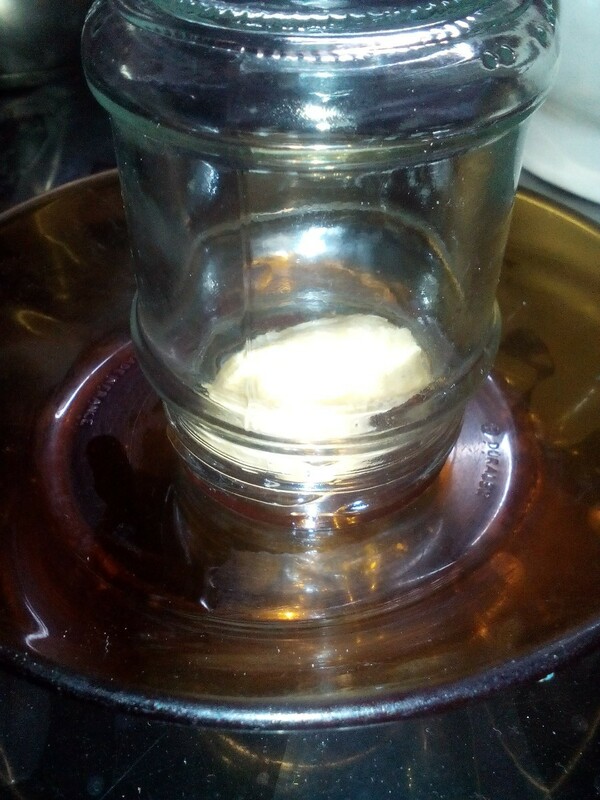 Pour the water out and flip it over the cold butter stick. It will be perfectly soft and ready to use in a couple minutes. 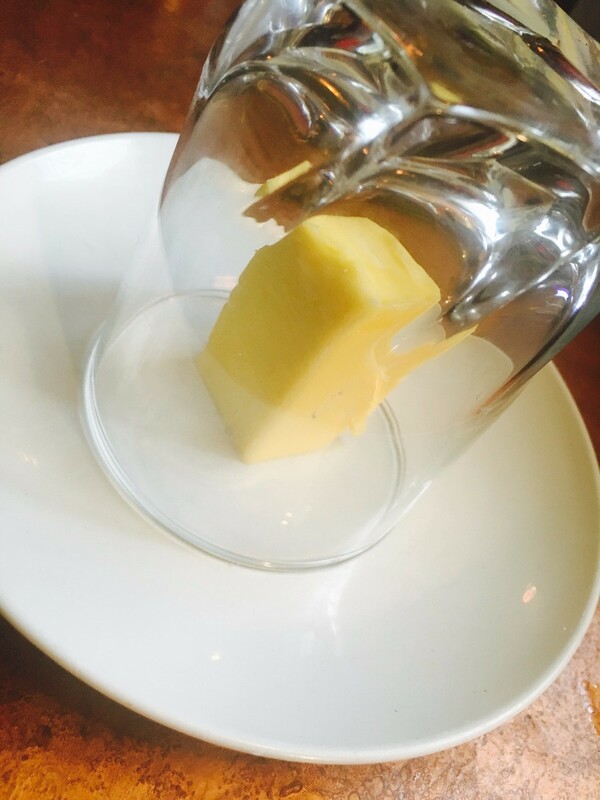 When we want to soften butter for our breakfast or brunch, we put the butter dish on top of our 5 cup coffeemaker. While the coffee is brewing it softens the stick of butter just enough to make it spreadable. Use a y-shaped peeler to remove slices of butter from the top of a rock-hard stick of butter that's come straight from the refrigerator. The peels can be laid on top of a slice of bread, so there's no need for spreading. That means no more clumps of butter and no more torn, soft bread. How many of us have needed softened butter for a recipe but forgot to take the butter out of the fridge? The easiest way is to simply grate the amount needed. I keep butter in the fridge, but when I want to use it, I have to wait a bit longer for my butter to soften. Good thing I was able to find another way by filling a glass with hot water. Pour out the content and cover the piece of butter with it. Wait 2 to 3 minutes and the butter is soft. To avoid tearing morning toast when attempting to spread it with cold butter, melt a tablespoon or two in the microwave while the bread is toasting. When the toast is done, brush the melted butter on top. If butter is too hard to spread, shave some with a veggie peeler. You can soften butter quickly but putting it in the microwave for 10 seconds. If the butter is frozen, you may have to repeat this, but be careful not to microwave it for too long, it will quickly become liquid.